This is the fourth blog post in the new year resolution series. you can find the other posts on TelecommutersTalk. My vision of working remote was that life was going to be perfect. I was going to get enough rest, exercise, eat healthily, and live happily ever after! We need to make a healthy diet a priority this New Year. There is enough research to support this statement, but this NeuroGenesis TED Talk by Sandrine Thuret hit it home for me. Pack your lunch: Pack lunch after you eat breakfast, just like you would if you were going to work. If you are packing lunch for your family, just make one more lunch bag. 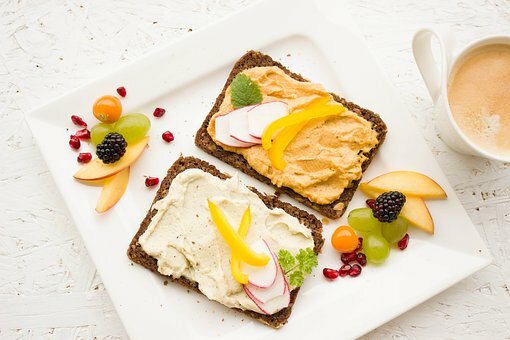 When it is time for lunch, all you need to do is grab your healthy lunch and enjoy it—no need to worry about making it. Enjoy your food: Yes, it seems odd to sit by yourself and eat quietly, and it will take time to adjust, but being mindful while eating is very helpful. Sit at the table and enjoy your meal—no technology, no distractions. After listening to the TED Talk, I think it would also be wise to add some dense foods that you can bite into and chew. Buy smart: If you don’t buy junk food, you can’t eat junk food. Experiment with this and see if it works for you. I like the 100daysofrealfood blog about keeping processed food out and packing healthy lunches. I’ve used Lisa’s ideas with good results. Plan your meals: I need to keep working on this, but I have friends who spend Sunday afternoons planning the coming week’s worth of meals, and it works perfectly for them. Lisa’s blog, mentioned above, also has meal planners that you can use; otherwise, you can use one of these apps. The advantage of using an app is that you can work on your meal plan while you are waiting at your kids’ practices or other activities. Keep it on the table: Keep healthy fruits outside and visible, so when you have a minute, you can grab something healthy. When the kids come home, they can also go for the healthy option first (or so we hope)! Set a time: Have lunch around the same time every day to ensure you maintain your sugar levels. Put it on your calendar, just like any other meeting. Eating at a set time is especially hard if you are in a different time zone and will require commitment.